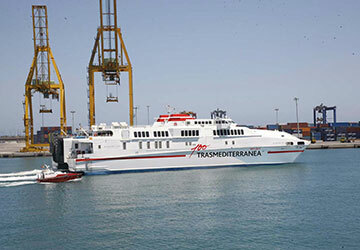 For more information, please visit our Ferries from Spain to Morocco page. 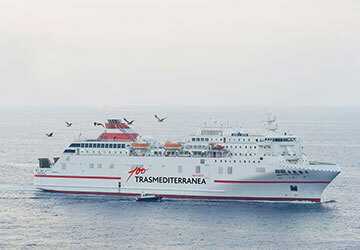 The Almeria Nador ferry route connects Spain with Morocco and is currently operated by 3 ferry companies. 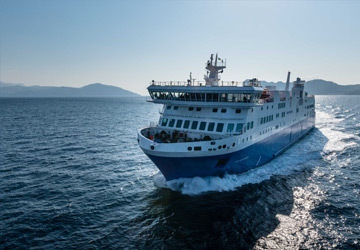 Balearia operate their crossing up to 7 times per week, Trasmediterranea 6 times per week & the Naviera Armas service is available up to 8 times per week. 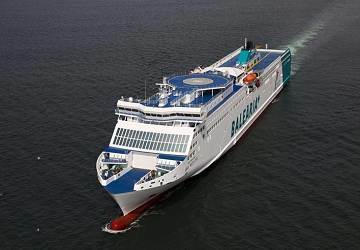 There are a combined 21 sailings available per week on the Almeria Nador crossing between Spain and Morocco and with 3 ferry companies on offer it is advisable to compare all to make sure you get the best fare at the time that you want to travel. Prices shown represent the average one way price paid by our customers. The most common booking on the Almeria Nador route is a car and 2 passengers. The journey went well, but getting the tickets is difficult. There is too many people and not enough ticket offices. "No such good travel "
On board was good staff and the crossing time also took five hours, that was the only positive part of the trip. 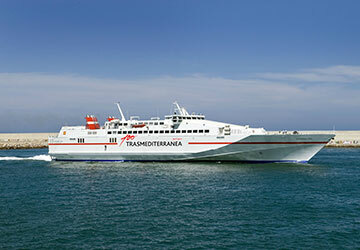 The ferry was not really Trasmediterranea, but by a subsidiary or similar. 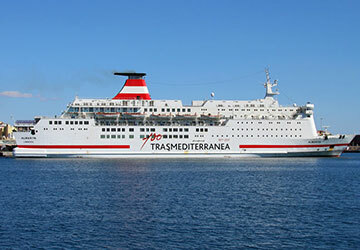 On board, no air conditioning, however, but was restaurants and cafes as you would expect from Trasmediterranea. The departure and arrival has been delayed for over two hours. The ferry was also filled abundantly, which has also made ​​sure that one had to wait a long toime in the queue filling out the papers. However, not Direct Ferries´fault and with the tickets all worked out perfectly. 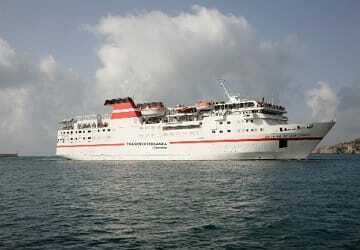 from now I book my tickets ever with Direct Ferries. Why doesn't the reception ask if we wish a cabin with a porthole? All the European receptionists are there to cater for passengers, whereas the Marocan receptionists thinks that the boat belongs to them. I thought it was great: the reception was very good and the crossing went well.